To start off the new year, members gathered at usual meeting place to discuss the 2015 programme and further ideas for the Club. One idea put forward was the suggestion for a new logo. Keith is taking this idea away with him and will be liaising further with Mike on possible designs. Confirmation of future meeting – Olly will be hosting the next Members’ Workshop Day on 22/03/15. Further details will be advised. 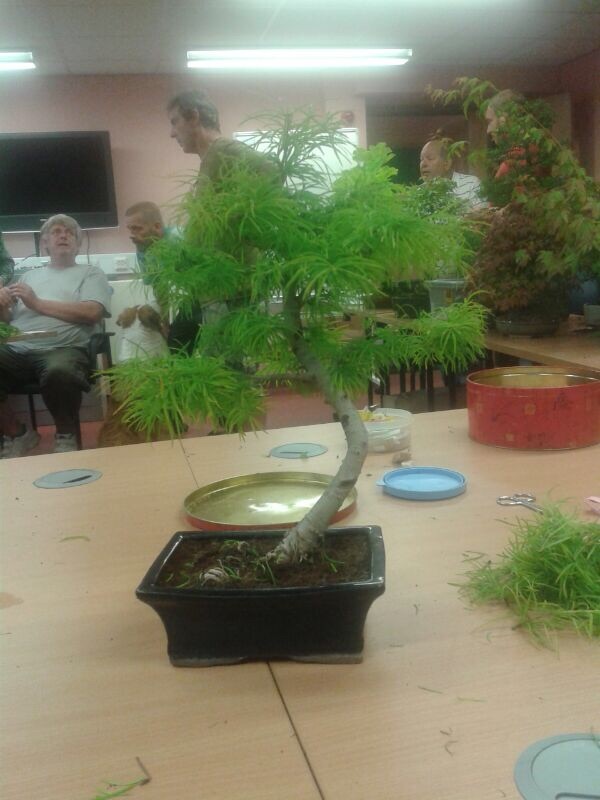 Steve Kitchman of China Mist will be demonstrating the art of making clay pots and members will be afforded the opportunity to make a small pot suitable for accent, mame or shohin. A new and exciting opportunity. Bring a picture or drawing to help your project. For members, the Club is paying for materials. Non-members and cost of extra pots there will be a charge of around £5.00. 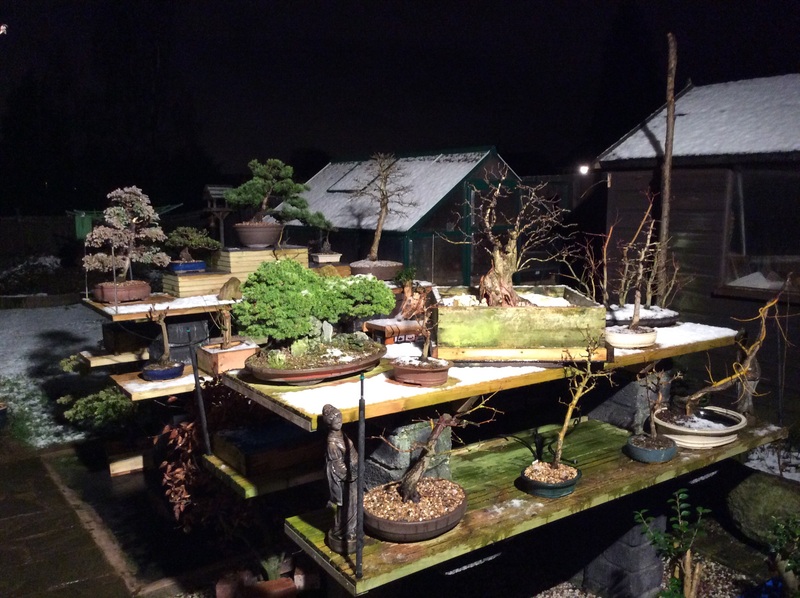 How Carol and Alan are coping with winter protection for most of their collection of bonsai and accents. 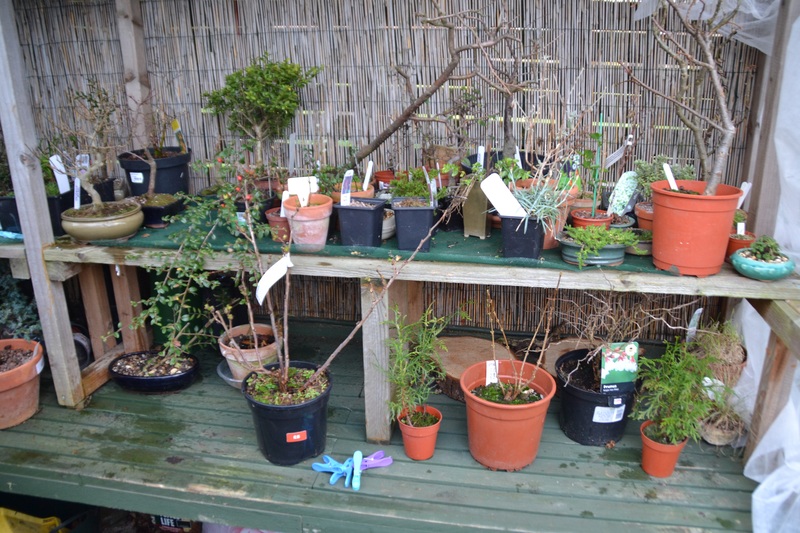 Not having space to plunge trees in their pots in garden soil, they are having to manage with a purpose built stand. A section of the stand was opened up to inspect for trees drying out. and weighted down with bricks. 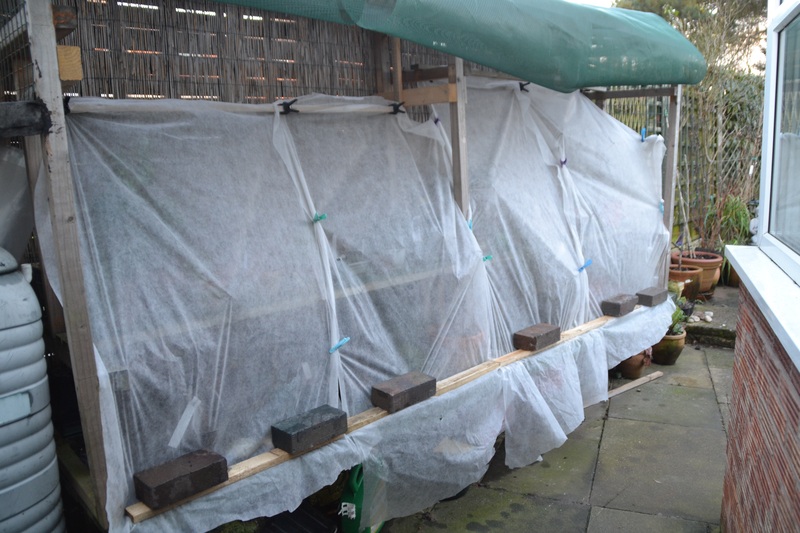 ​Finally fine plastic mesh with battens at bottom is brought down over the fleece to deflect driving rain. To prevent plants rotting, the sides have a larger mesh covering and the top is open slatted so air can circulate. When inspected on this occasion (Jan’15), was noticed some of the buds were already starting to expand (not quite opening), in readiness for Spring in spite of the present very cold spell being experienced in East Midlands. 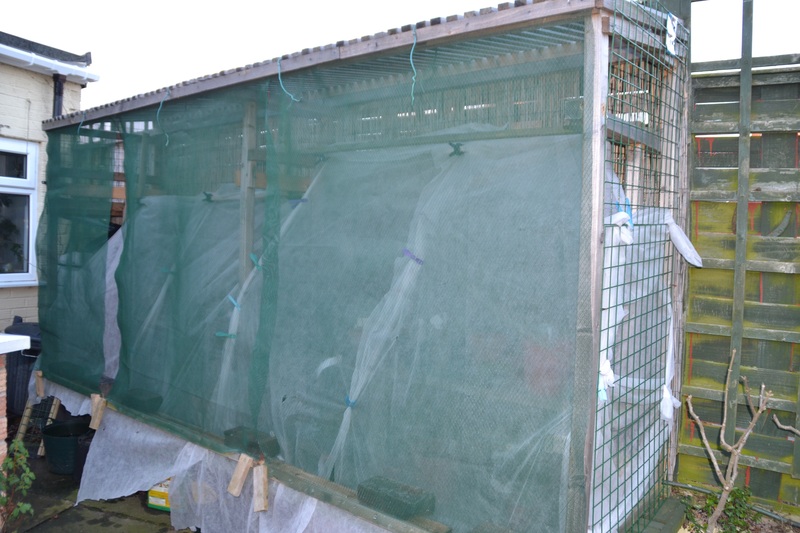 When weather warms up, fleece will be removed and the green mesh at front is rolled up and lowered for sun protection as required. 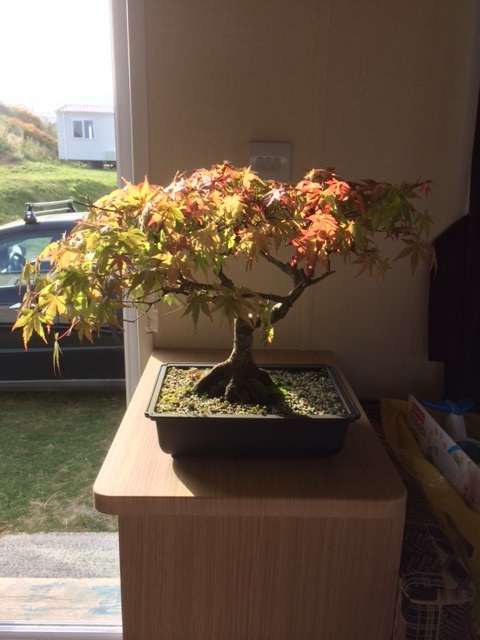 This is a picture of my maple bonsai I purchased in cornwall. 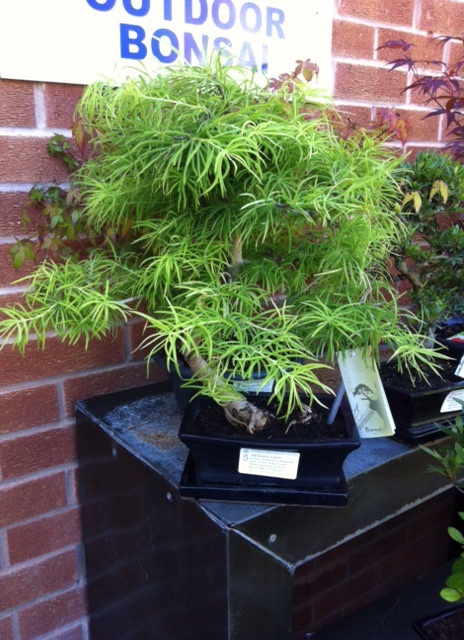 I saved a little bit of money to treat myself on holiday at the Japanese bonsai gardens. Apparently it is around 50 years old. Below is a fig bonsai which was a gift from my gran for xmas. 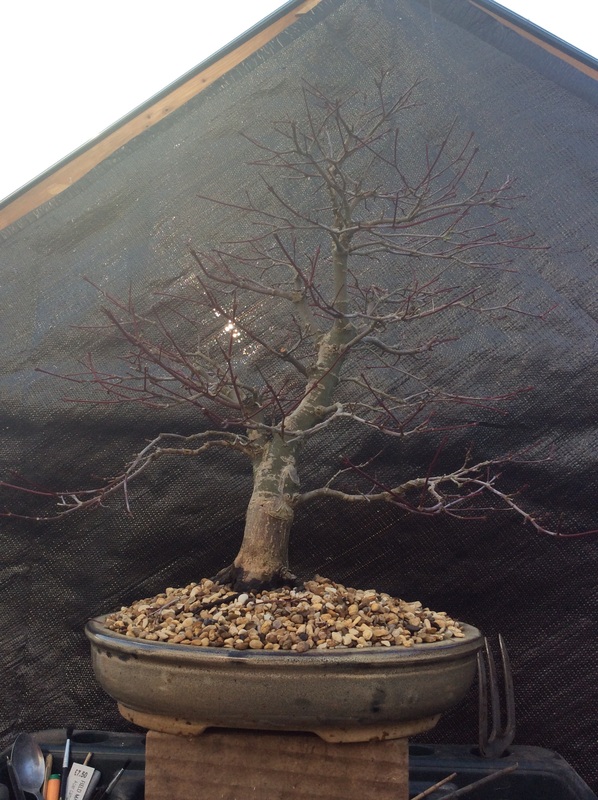 I hope to re-pot in the spring, prune it right back and wire to start a good shape. 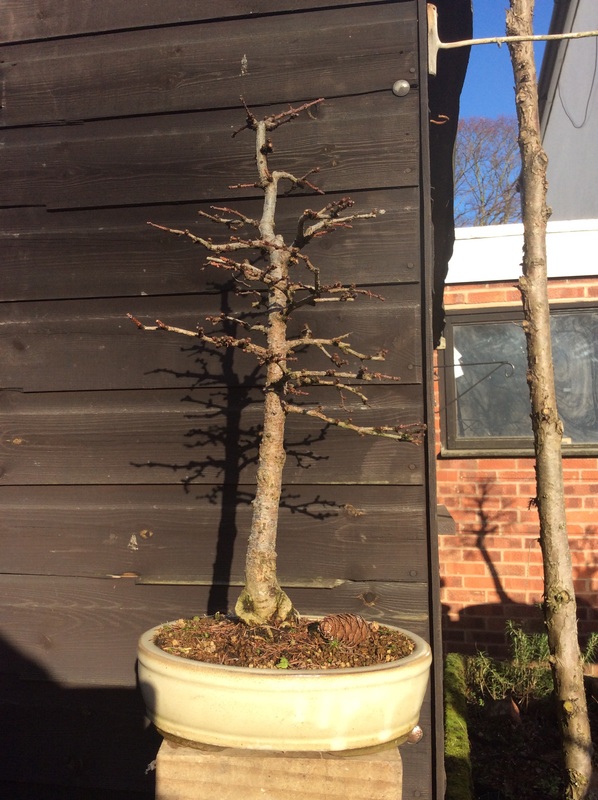 Below is a false larch I think? This is before Mike helped me prune it. 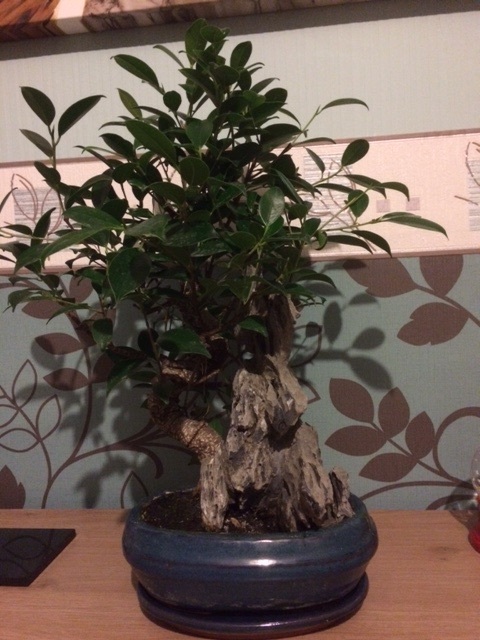 This was my first bonsai from a local garden centre. After. 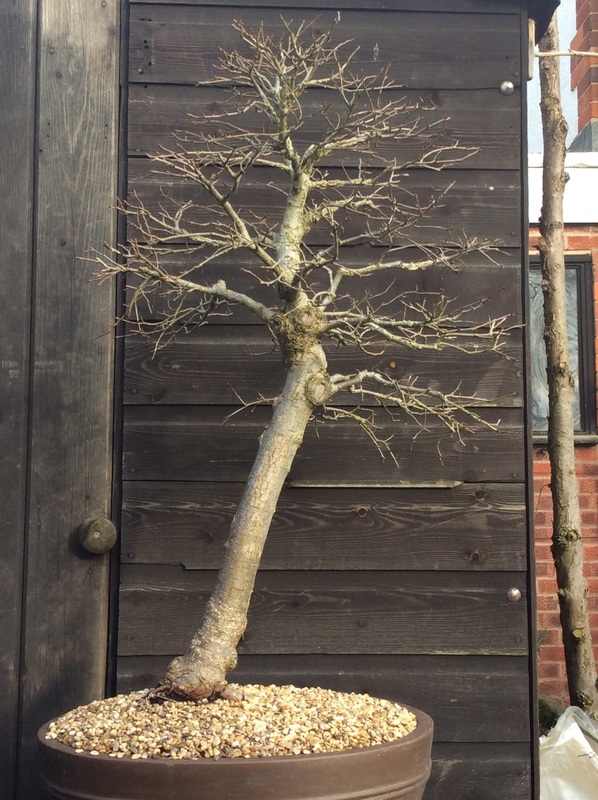 With help from Mike I pruned it right back, again hoping to re-pot in the spring and wire to start shaping. Hope this pictures helps for the website. I am still waiting for photos stories ect to post. Everyone see your trees in there winter show.